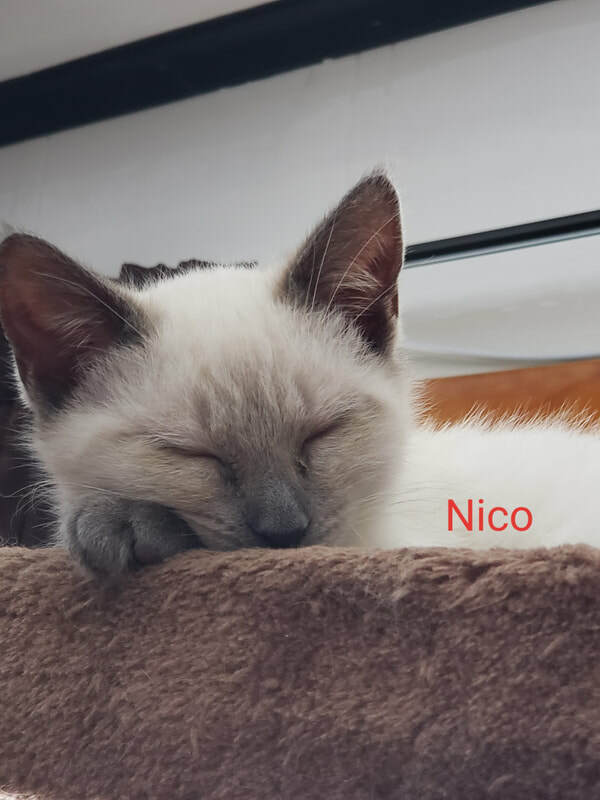 Nico is a ridiculously high energy kitten, don't let the snoozing photo fool you! Asleep is one of the only ways we can get a photo of him that isn't a blur! Nico loves to be petted by everyone, and plays hard and often! His foster mom describes him as "strutting his stuff" around the house...no false modesty from this gorgeous boy! Nico also loves to give kisses that escalate into suckling on his foster mom...on her cheek, her ears, her hair...so anyone who doesn't enjoy PDA's should back away now. If you want an effusive and hilarious addition to your life, Nico is the one for you.